BELFAST, March 2017 – Plans have been officially unveiled for a state-of-the-art, gas-fired power station in the Belfast Harbour Estate. The Belfast Power Station will represent a new era of low-carbon electricity generation in Northern Ireland, and will generate clean electricity for over 500,000 homes and businesses across the region. In economic terms it will provide a major boost for the city and at £280 million is one of the largest private investments ever undertaken in Northern Ireland. The project will create 700 jobs during construction and 50 highly skilled full time posts when it becomes operational. “While we’re very proud to be bringing this level of financial investment to Northern Ireland, our real focus is delivering a project that best serves the needs of the electricity market here as we continue to develop and grow the local economy. “We’re reaching a time when there is genuine uncertainty regarding whether or not we will have enough electricity to meet demand in the next 5 years. The Belfast Power Station – which will have an output of around 480MW – will help to address this issue. “It’s also a key focus for Belfast Power that we generate electricity in a way that is sustainable for future generations. SONI (System Operator for Northern Ireland) has done fantastic work in recent years to facilitate the high level of wind energy on the system, and deserves huge credit for the role it has played in allowing us to benefit from record levels of wind generation this year already. Ciaran and his brother Stephen Devine founded local company Evermore Energy in 2009 with a view to initiating, developing and financing low-carbon strategic infrastructure projects throughout Ireland, the UK and Europe. Most recently they successfully developed the £80 million Lisahally Combined Heat and Power Plant in Derry – Northern Ireland’s largest renewable energy power station. As a result they know first-hand what it takes to deliver viable, forward-thinking infrastructure in the local electricity market. “The Lisahally Power Plant has been a great success and we’re delighted to have overseen major investment and job creation close to where we grew up. The plant is fully operational and provides green energy to almost 30,000 people in the North West region. Siemens Energy is currently designing a bespoke plant that will be tailored to meet the needs of the local electricity market and to ensure it is appropriate for the project site in the Belfast Harbour Estate. “A key consideration for us in the early stages of bringing together the Belfast Power Station project was identifying a suitable site in a strategic location. This led to us working closely with Belfast Harbour to secure a site in the Harbour Estate that is perfect for what we are proposing. Ciaran believes that, with the delivery of the Belfast Power Station in 2020, Northern Ireland is on the cusp of establishing the world-class electricity infrastructure needed to benefit consumers and allow the economy to fulfil its potential. “The Belfast Power Station will be the most efficient plant of its kind anywhere in the UK and Ireland, and will use cutting edge technology to provide consumers with the electricity supply they need to go about their daily lives and to power businesses as they grow and expand. “So not only will we have the level and quality of supply needed for modern life in Northern Ireland, but with the delivery SONI’s proposed North South Interconnector we will see an all-island electricity market that is reliable and works in the best interest of consumers everywhere. In order to meet its completion date in 2020, Belfast Power Ltd. is currently working to submit a full planning application to the Department for Infrastructure (DfI) by the end of March 2017. “We have carried out extensive pre-application consultation on the project and have engaged extensively with the team in DfI who have been excellent in their approach so far. All the feedback we have received to date has been very positive and we hope to keep that momentum up through submission of the application and on to a decision. 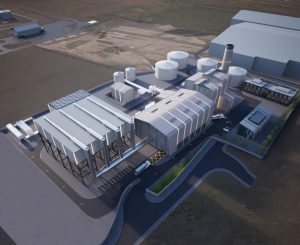 More information about the proposed Belfast Power Station can be found online at www.belfastpower.com. You can also follow Ciaran Devine on Twitter at @mrcdevine.